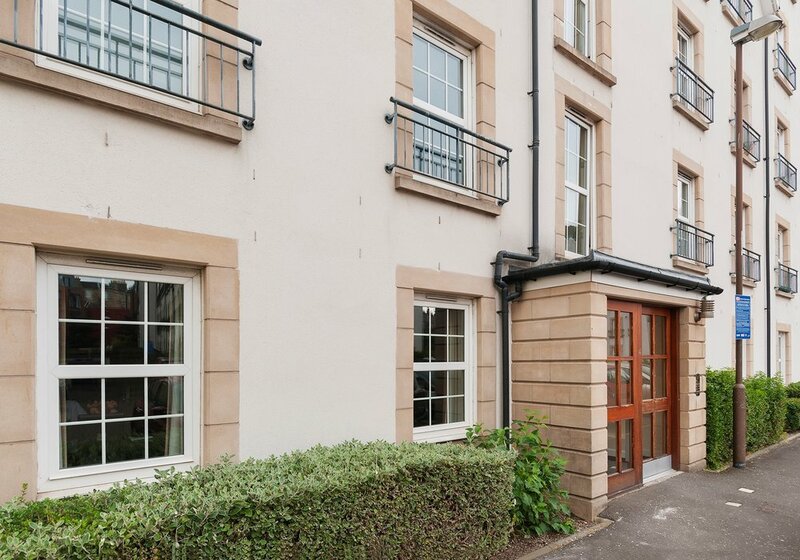 Recently refurbished 2 Bedroom Apartment on the ground floor. Modern, newly refurbished pleasant and comfortable furnishings. 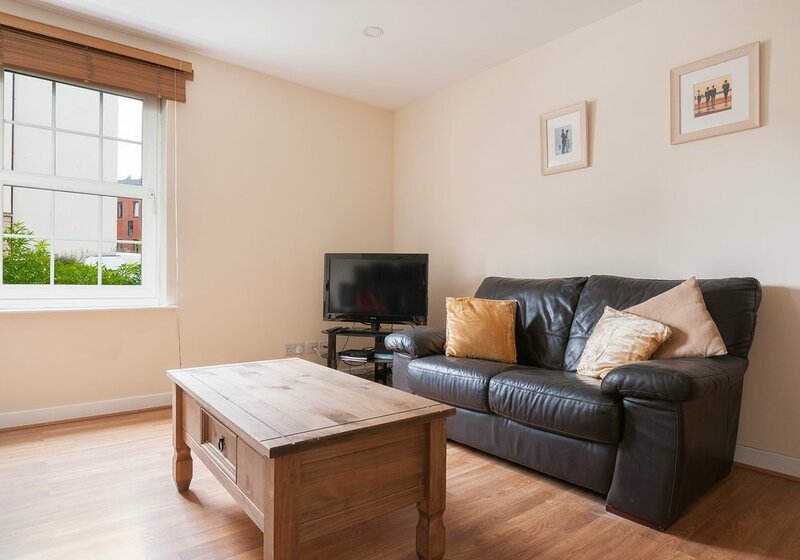 Spacious living room with 1 double sofa bed and satellite Freeview TV (42” flat screen). Dining area. Kitchen (4 hotplates, oven, microwave, dishwasher and fridge/ freezer). 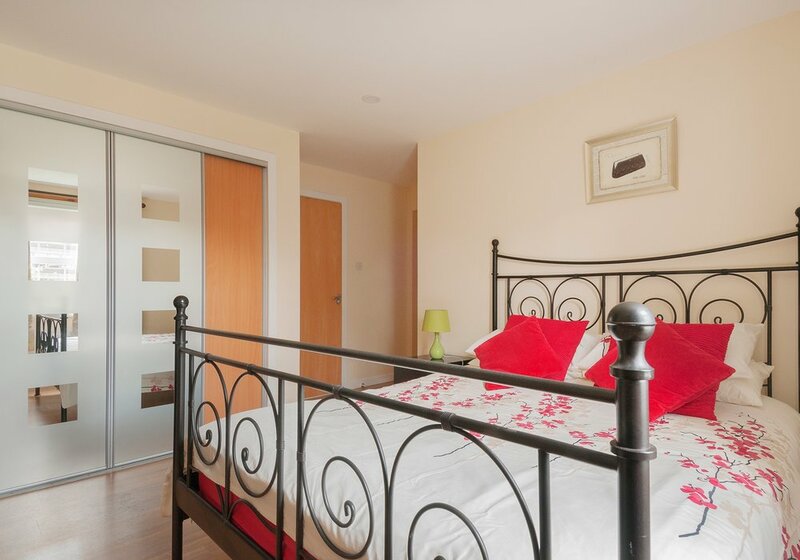 Main bedroom with 1 King-size bed and newly refurbished ensuite (shower/WC). 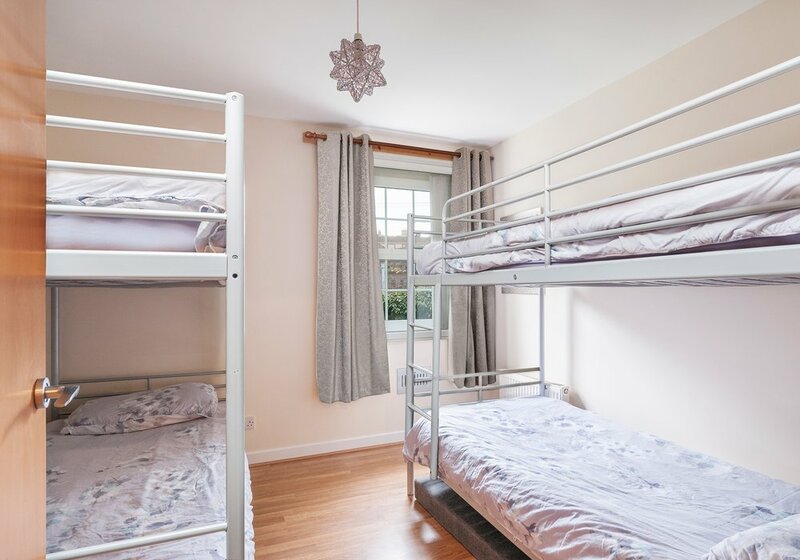 1 bedroom with 2 sets of bunk beds (4 beds). Dalry Gait development building in Haymarket, near the West End of the city. Based round a converted distillery with landmark chimney. Private off-street parking (1 parking permit - please request in advance, a second parking permit may be available on request). * Internet is offered as a courtesy of the landlord. To the best of our abilities we try to keep it available at all times. From time to time, internet connections become slow or unavailable. While we do try to repair what is possible, there are times when the disruption is beyond our control. We do not accept any responsibility for this disruption. Main bedroom with 1 King-size bed and ensuite (shower/WC). 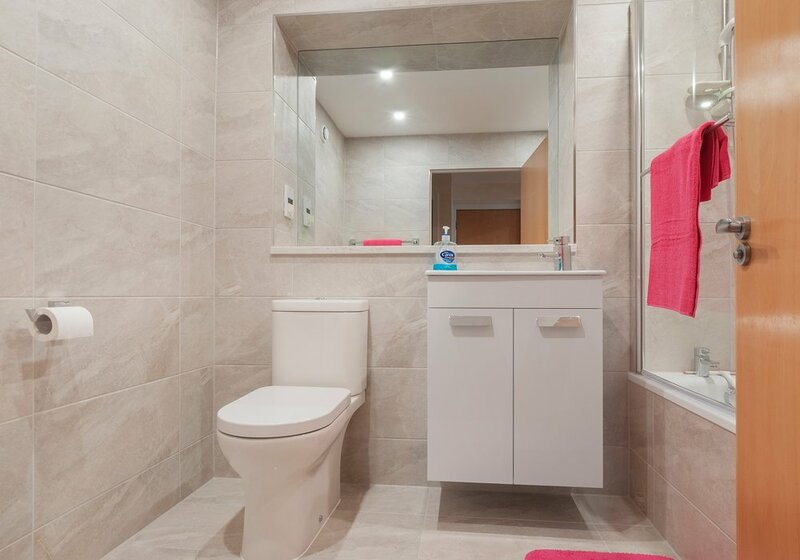 Excellent location close to bus and tram stops. (I recommend purchase of city bus and tram pass for convenience. The "bus shop" is across the street from Haymarket train station) Amazing range of restaurants and cafes within a few minutes walk and if you have a car, the private on-site parking permit provided on request is a definite bonus. Nice to find that the kitchen had a range of basics, like salt, pepper, tea, coffee, sugar etc, presumably accumulated and left by previous users. Thank you all! We had a very good stay in the apartment. It is near Heymarket, but very quiet. A central place to start all activitys in Edinburgh. A good connection to the airport really close. The apartment is comfortable and good equipped. We had a good time there und would love to come back soon. centrally located for us....all good. No complaints. All as expected! Brilliant apartment. Stayed with my 4 kids and we had plenty of room. Free wifi was a bonus. Only a 10 minute walk to Princes St or all the buses go right past. Supermarket, chemist, bottle shop and restaurants all on your doorstep. Had a lovely stay at the flat, spacious and clean. Only problem we had was no wifi but owners said they did were sorting it. The mattresses in the smaller bedroom could do with being replaced as they sink in the middle our children didn't say this but we felt them when giving cuddles etc. Overall no major issues, just a few tidy ups on paintwork and mattresses. A lovely bright and clean apartment, fully fitted kitchen, comfortable double bed for parents, two sets of bunks and a pull out sofa bed. Close to Lidl, pizza, barbers. 10 minutes walk to Prince's Street. Nice big screen TV. Only let down for the boys: no WiFi so they had to fast from technology, not a bad thing. The flat was perfect we had everything we needed for our stay, we felt comfortable and at home. Everything was clean and supplied with extra towels, sheets and detergent for washing. Location is good you can catach a bus just down the street to princess street or walk ( about 15 minutes). The flat is located close to gorocery store, liquor store, post office & local resturants. I would defiantley book this flat again, I didn't want to leave. We really enjoyed our stay at the apartment. It was perfectly placed for busses, trains, trams and shops. The accomodation was a good size, up to date and clean. There was some noise from the surrounding apartments and a small issue with the boiler but it didn't detract from a lovely stay and the overall experience. Great location, lovely rooms and had everything we needed. Excellent flat in a good location. Would definitely stay here again. 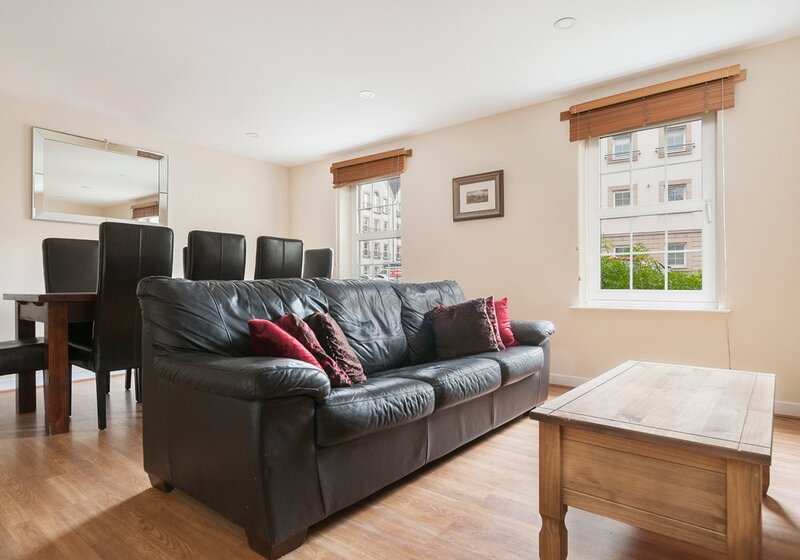 I booked this flat because I was coming to Edinburgh with 3 grandchildren, 1 daughter and my husband. I was attracted by the 4 bunk beds and sofa bed. Luckily it was near Haymarket station and took just 10 mins to walk to after asking the station master where it was. It was roomy, clean, comfortable and quiet. In the end my daughter slept in with the children rather than make up the sofa bed! We were snug in the lovely master bedroom. We managed to walk easily to all the attractions, castle, museum and tour buses. Every morning we nipped to the Coop nearby for our picnic rolls and shopping. We would definitely stay again and recommend it. The flat was an excellent base for our jumps through this beautiful town. The landlord is very friendly and courteous. We're deeply grateful about this practical possibility to stay in Edinburgh. A very great week at all points. 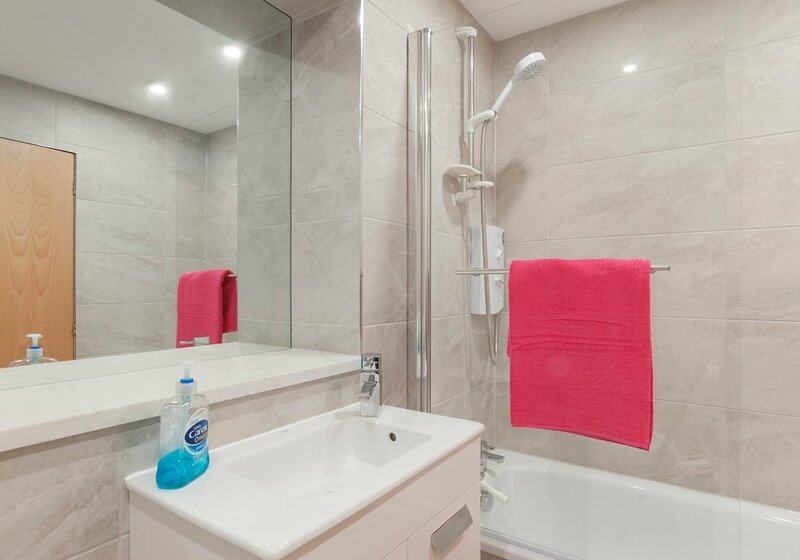 The flat is well positioned near Haymarket Station within an easy walking distance of Princes Street and the many shops and restaurants in the West End. It is comfortable, modern and well furnished. There were a couple of matters that I feel could be improved. a) The four bunk-beds in the smaller bedroom should be replaced with two single beds and a chest of drawers be provided. b) My ability to read was impaired by the low energy lighting in the flat and the lack of natural light entering the rooms. I would suggest that a standard lamp with a bright light should be provided in the living/dining area. 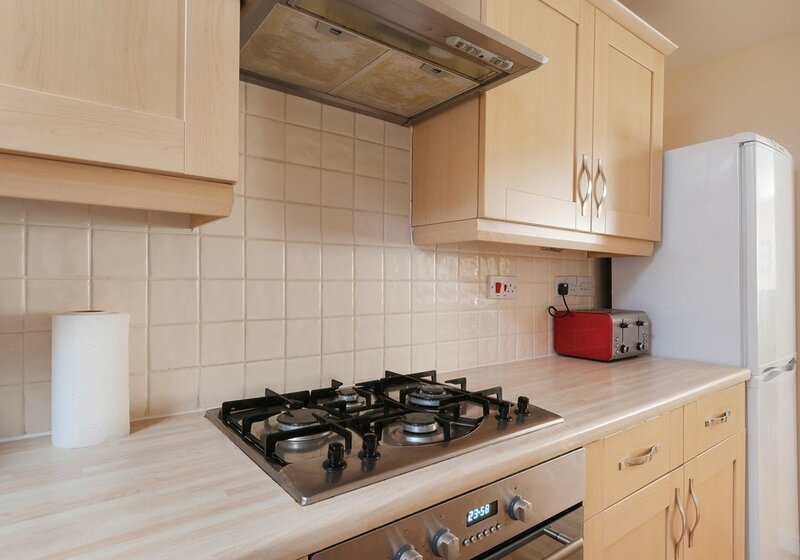 Right by Haymarket station, about 10/15 minute walk into town but nice a quiet apartment. We had 7 people sharing and it wasn't too cramped (might be better with 6 people though), lots of storage etc. Buses to Zoo/airport very frequent, close to take away/pubs and shops so you don't have to walk far for anything. Great value for money, would definitely stay again. Good clean flat. Very quiet cul de sac. Helpful staff with all details. I rented this flat for a period of two weeks. 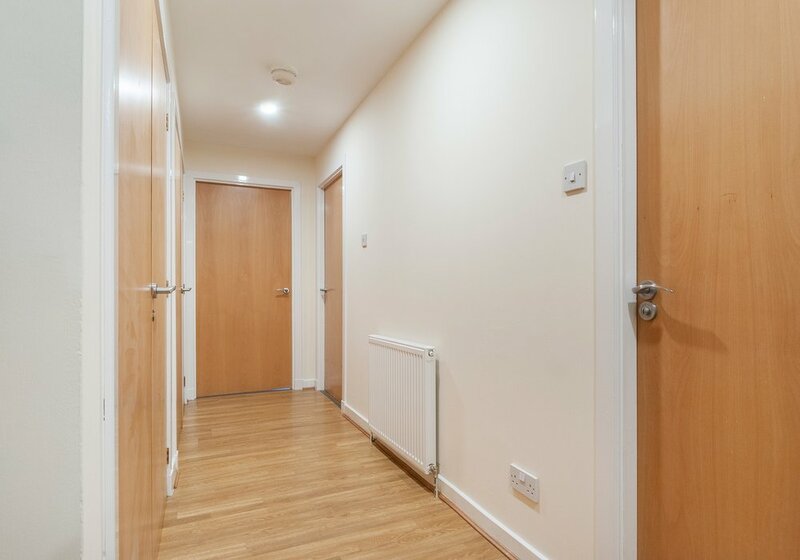 This is an excellent flat for elderly and people with restricted mobility. My dad uses a wheel chair because of a back problem so it was very convenient for us renting this flat which has a quick access to the building entrance. The flat has plenty of space in the living room which was excellent because we had people coming over all time. 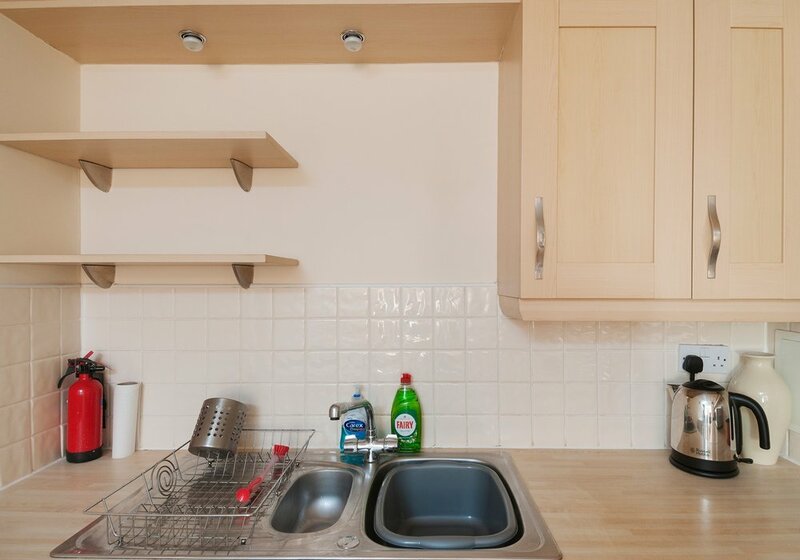 The flat has plenty of cuttlery, and electronic appliances so there is no need to bring stuff with you when you move in. The flat is in excellent condition and the neighborhood is very nice. 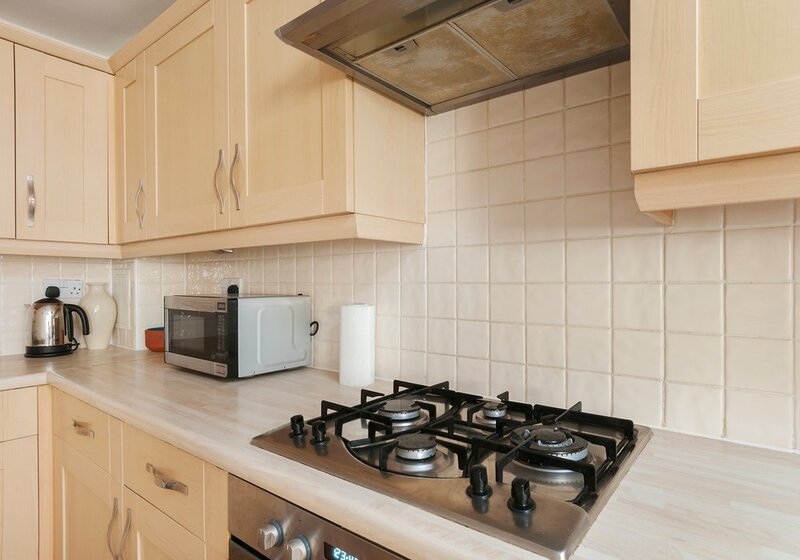 Excellent location from city centre, train station, supermarkets and shops. I highly recommend it. 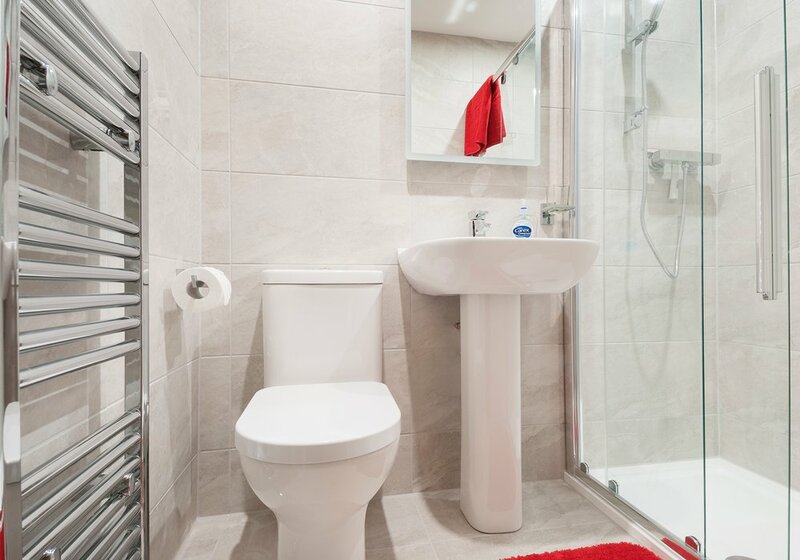 This is a two bedroom flat within walking distance of Haymarket station and the local shops. Most of Edinburgh's attractions are within a walk or short bus ride away. 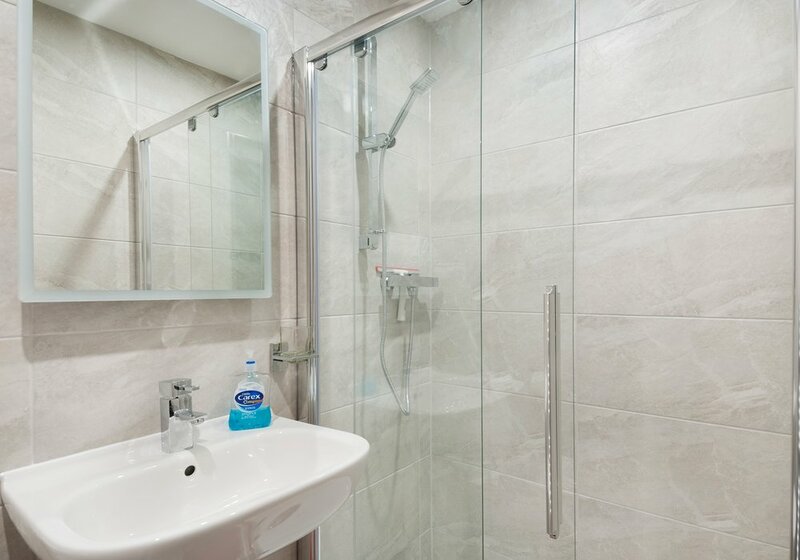 Accommodation is of an excellent standard, spotlessly clean, comfortable and with all the mod cons. Highly recommended. This was a great flat. We enjoyed our stay and will return. Very close to Haymarket Station. There were 7 of us and there was enough room for us all. 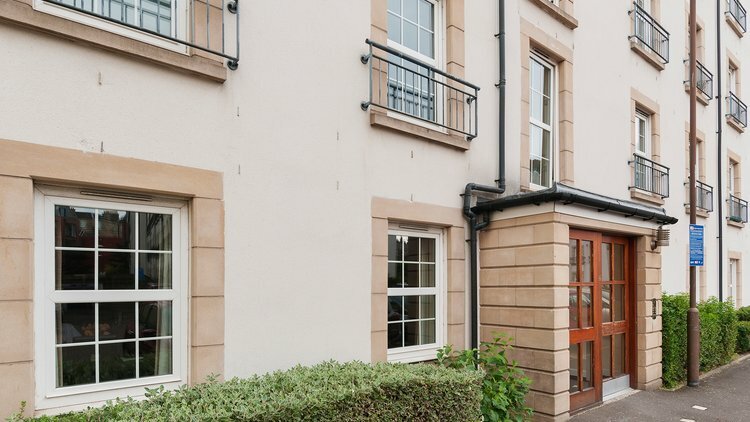 the flat is in walking distance from both Murrayfield and the city center. 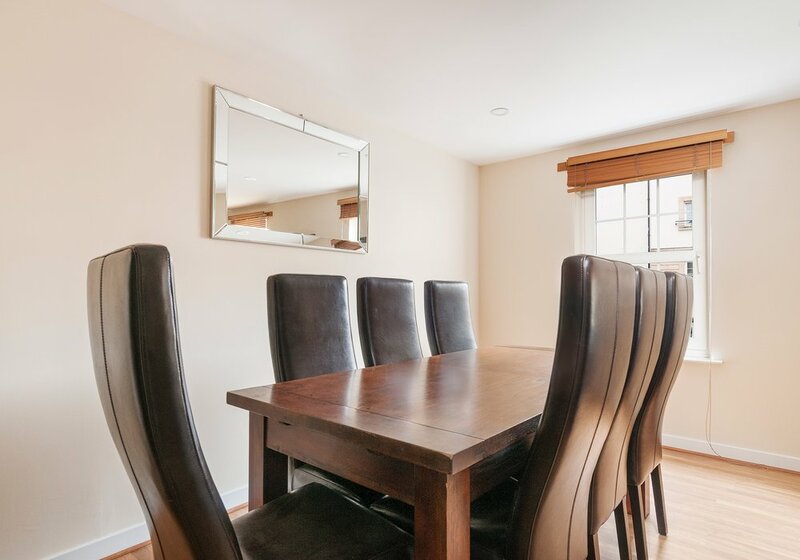 it is well furnished and can really host 7 people in a comfortable way. i would recommend it anytime. 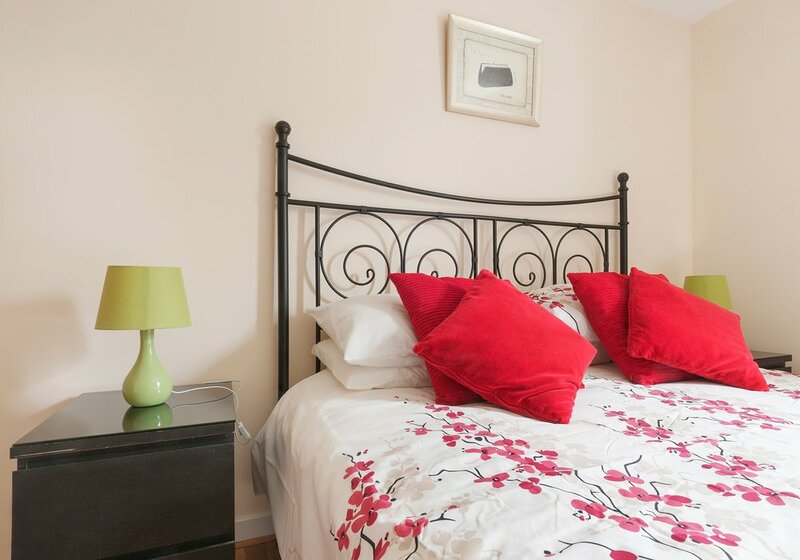 Within walking distance of most attractions, theatres and shops! The apartment was comfortable and very quiet. As we were self-catering the only down side was no dishwasher or if there was one we never found it! We would stay again. I Stayed in this flat with 4 friends in August, we found the flat to be in an excellent location, only 10-15 minutes walk from the city centre. 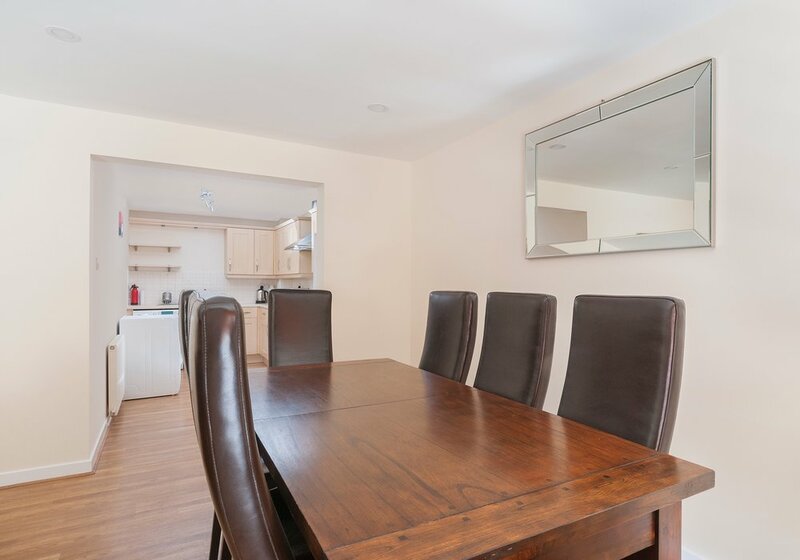 The flat was very well equipped and was an excellent rental, the owner was in easy contact before the rental and was willing to answer many questions. This comes highly recommended and would definitely be booked again for future stays in Edinburgh. 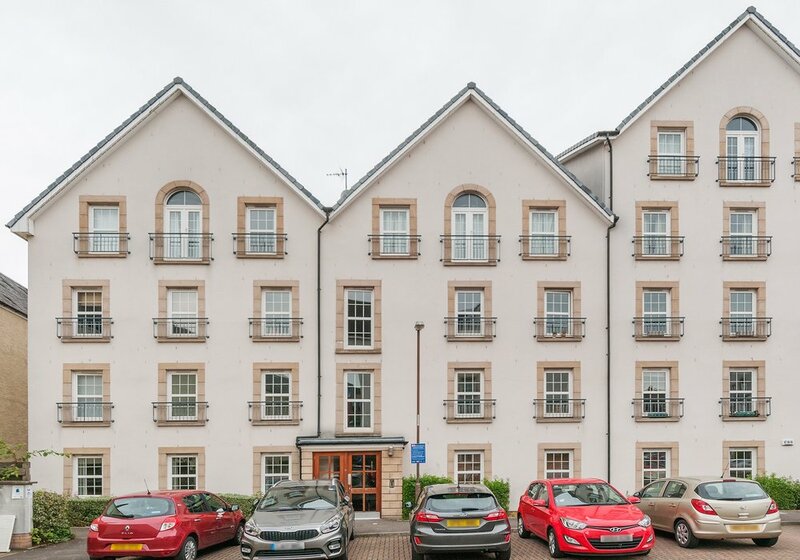 This is a very nice centrally located flat close to shops and restaurants and with excellent public transport links into Princes Street. The flat was clean and comfortable and had everything we wanted. Would certainly recommend it and stay there again. 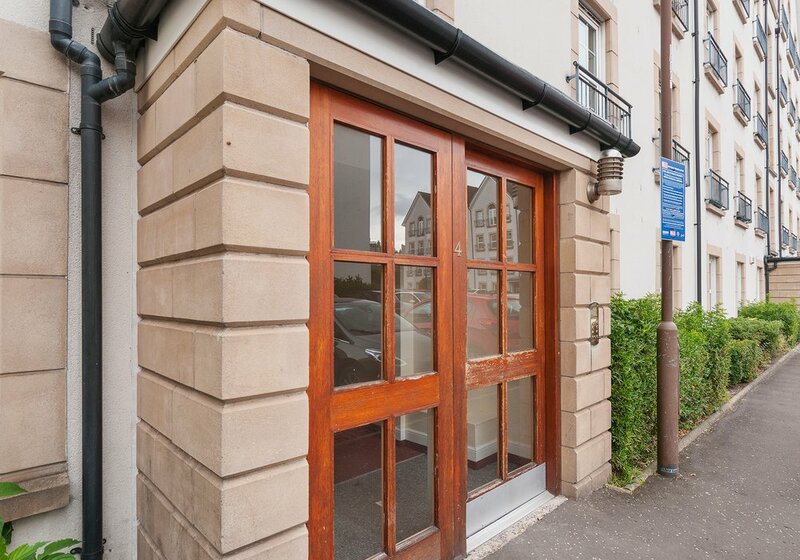 The flat is in a very convenient location only a 10 minute walk from Princes Street. The facilities are good, especially the BT Vision TV, internet, washing machine and tumble drier. The one thing that would have improved things is a dish washer. Cooking facilities and lounge furniture are good too. 2 parking permits is a great addition. What let the apartment down was the cleanliness or lack of, particularly in the bedrooms and the towels. We had to take this up with the agent and the owner on the first morning and in fairness the owner was most understanding and offered some compensation. However this experience has led to a rating of only Average. Upon opening the flat and entering, my first impression was: lovely place! The impression remained the same till the end of the stay. 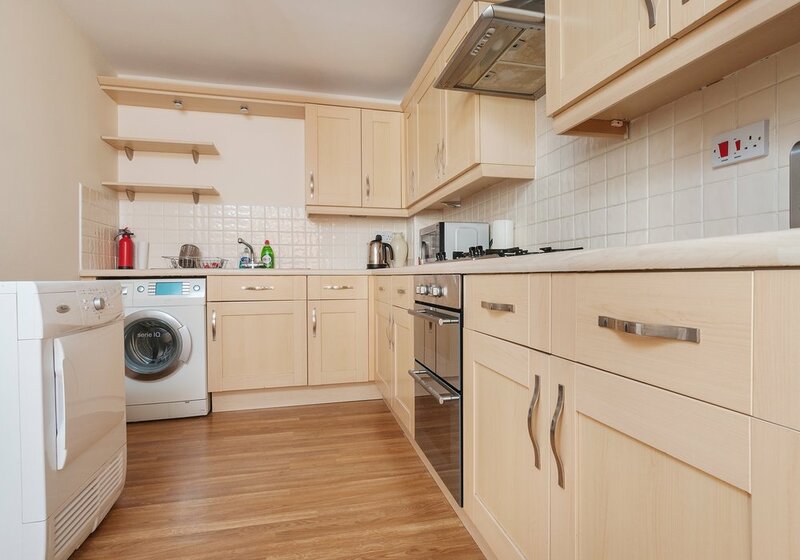 Things I liked about this flat: * Very spacious * Neat and maintained in good condition * Well located - for shopping and travelling * Very quiet and peaceful (despite being next to the Haymarket station) * Well equipped kitchen Would stay again! perfect for a holidays with family! We (2 adults, 3 children) stayed here for 1 week. 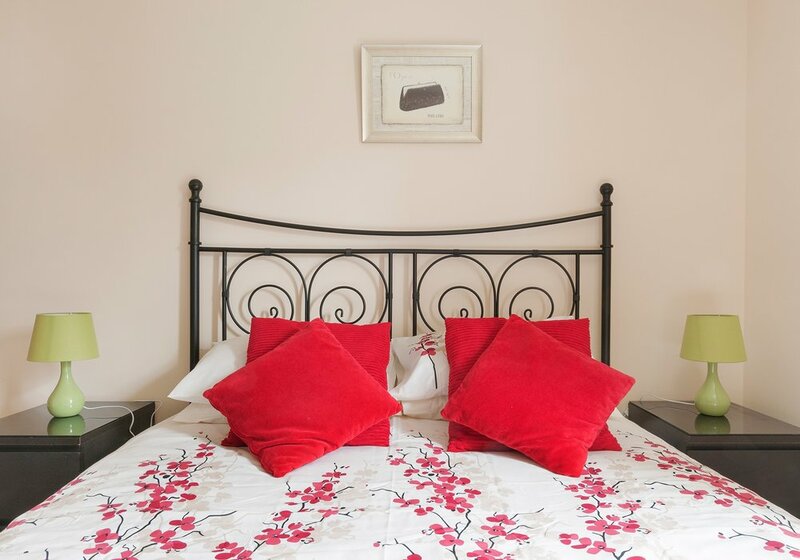 The flat was perfect for our needs - the accommodation was comfortable, well equipped, user friendly and spacious enough. 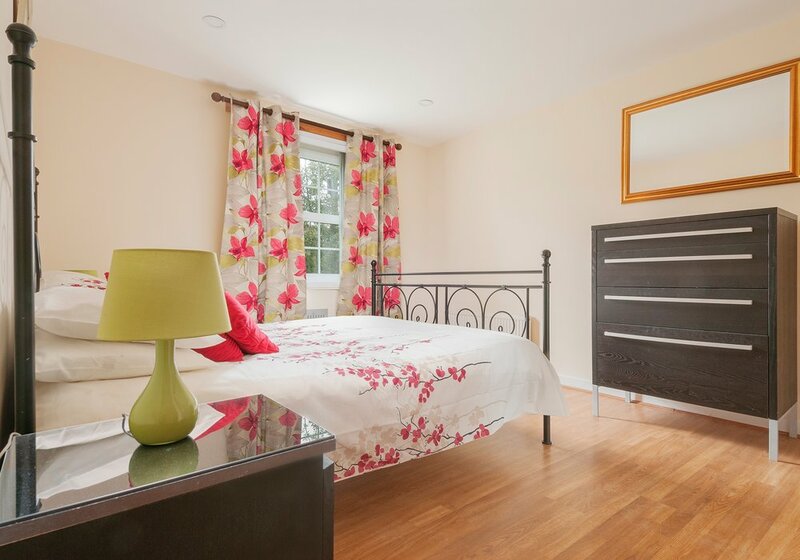 Locationwise it's only a 15 minute walk to Princes Street and very close to bus routes and Haymarket station. There's a supermarket nearby and an excellent wine merchants in Dalry Road. Great location, very neat and tidy. Great ground-floor flat, nicely furnished, central position with residents' permit for parking outside very useful. Beds comfortable and kitchen well-equipped (except no dishwasher). We would rent this flat again when staying in Edinburgh.